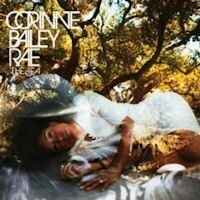 Four years since the release of her lighter than air (and sometimes light on substance) debut, and two-plus years since the tragic loss of her husband to an accidental overdose, CBR returns with a decidedly less commercial, far more introspective, and vastly superior follow up. Not surprisingly given her circumstances, thoughts of her late husband and working through the grieving process dominate this gentle, organic album. Though it's a light soul album at it's core (albeit one laden with numerous 60s pop and folk tropes as well), and it has it's occasionally accessible moments, most notably the Stonesy The Blackest Lily and the irrepressible young, rich & in love single Paris Nights/New York Mornings (possibly my favorite pop song of the year), those seeking out the conventional have best look elsewhere. Like much of Van Morrison's 70s work, it's as if Bailey Rae has made a conscious decision that no musical convention is to get in the way of her soul wishes to go . The downside to all this unstructured, free-flowing exploration is the album does have it's sleepy moments, especially as one moves towards the album's back half. But overall, this is an impressive and at times moving work. And it should be noted, not nearly as depressing as one might think...unlike, say Rosanne Cash's similarly themed Black Cadillac, the emphasis here is much more on the healing side of the process. Cherry Picker's Best Bets: Are You Here; Feels Like The First Time, The Blackest Lily, Paris Nights/New York Mornings.